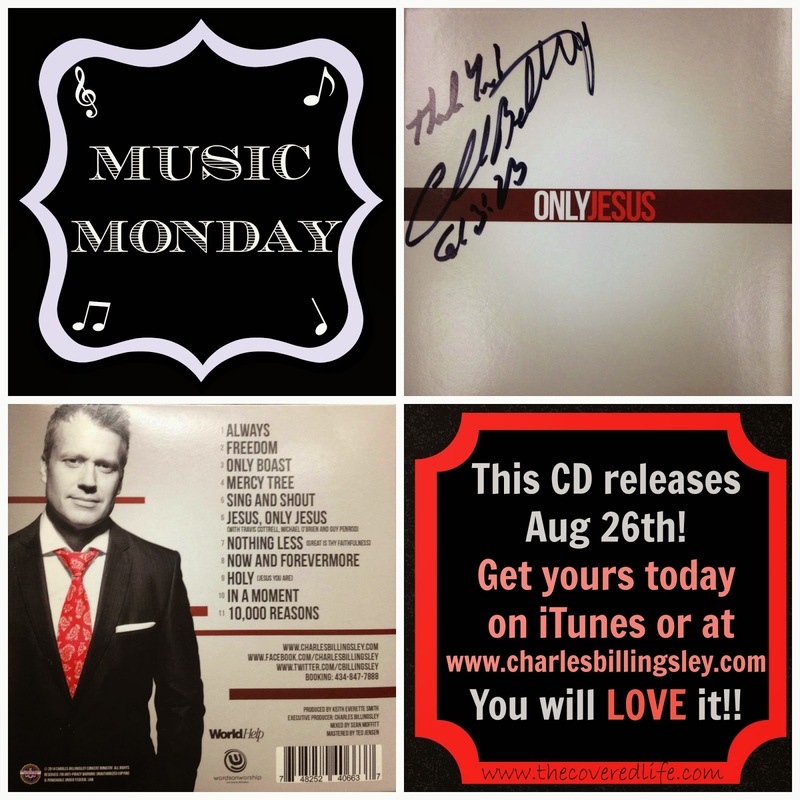 I am so excited to tell all of y'all about the Music Monday selection today: "Only Jesus" from Charles Billingsley. Oh man, I have been listening to this CD non-stop since I got it. It is seriously THAT GOOD! I was chosen to be part of the Launch team for this CD and as part of that we were asked to share items that were shared with us. For example, there was a behind the scenes video that I shared of the recording of "Jesus, Only Jesus" that features Charles (of course) and Travis Cottrell, Guy Penrod and Michael O'Brien. These songs are saturated in the Gospel and have already offered encouragement to me as well as times of praise. Only Jesus is available for pre-order today on iTunes, Amazon, and www.charlesbillingsley.com and will be released for direct purchase tomorrow! I highly recommend you pick-up (or download) this CD and when you do, I'd love to hear from you! You can let me know what you think in the comments below.